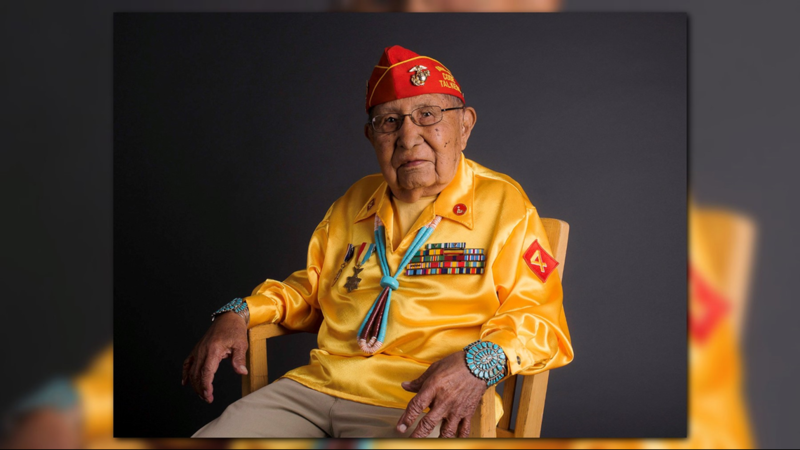 Alfred Newman was among hundreds of Navajos who served in the Marine Corps, using a code based on their native language to outsmart the Japanese in World War II. 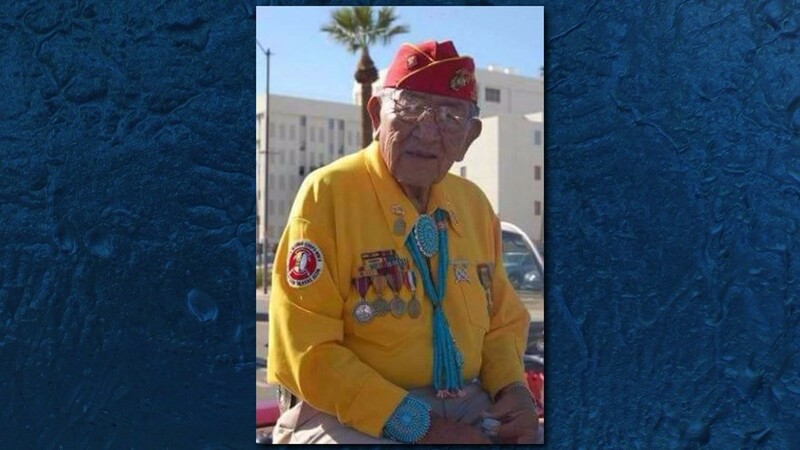 During World War II, Newman served during WWII in the First Battalion, 21st Marine Regiment and Third Marine Division and saw combat at Bougainville Island, Guam, Iwo Jima, Kwajalein Atoll, Enewetak Atoll, New Georgia and New Caledonia. 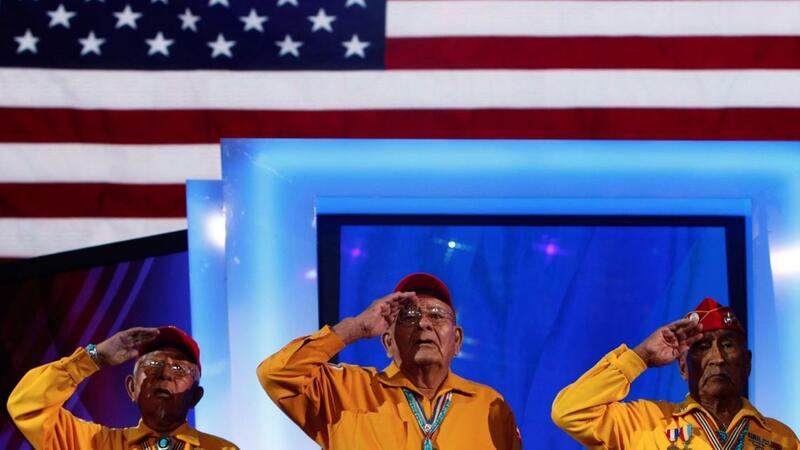 Newman is survived by his wife of 69 years, Betsy. 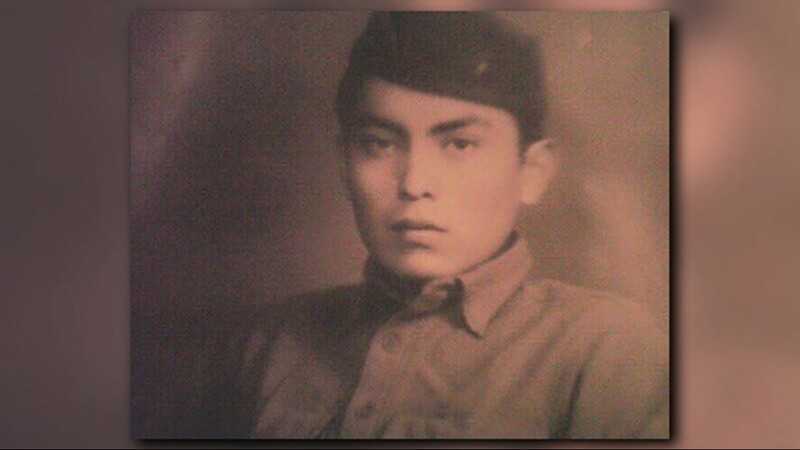 They had five children, 13 grandchildren and three great-grandchildren. 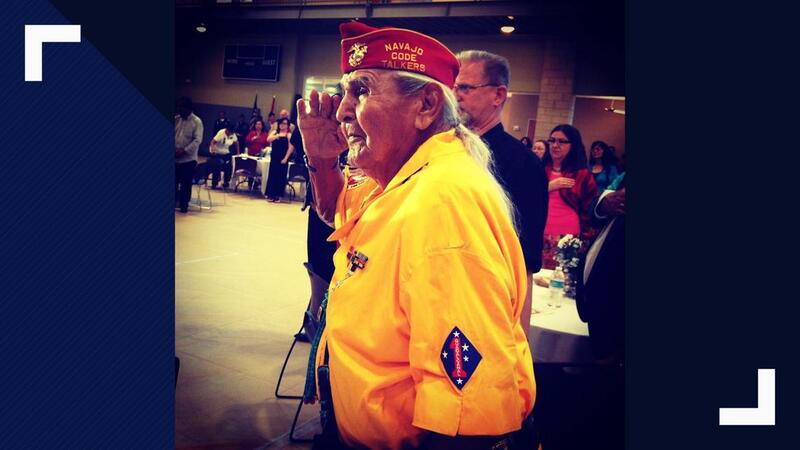 Navajo Code Talker George James Sr. listens as US President Barack Obama speaks to the 2012 Tribal Nations Conference. 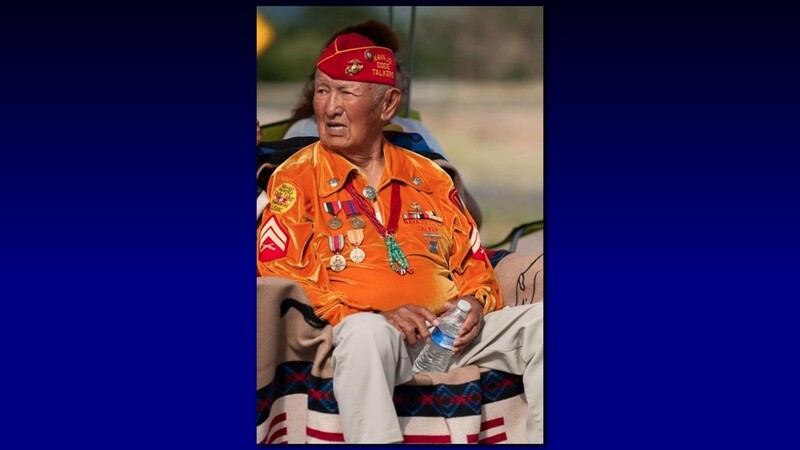 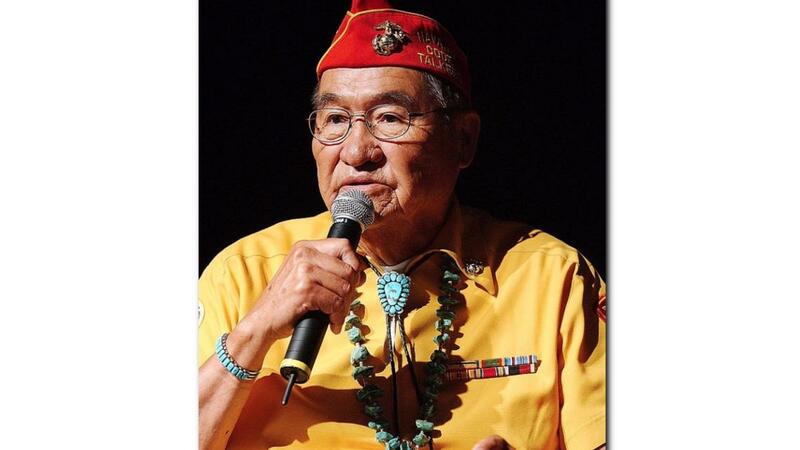 Navajo Code Talker Joe H. Kellwood died at 95 years old. 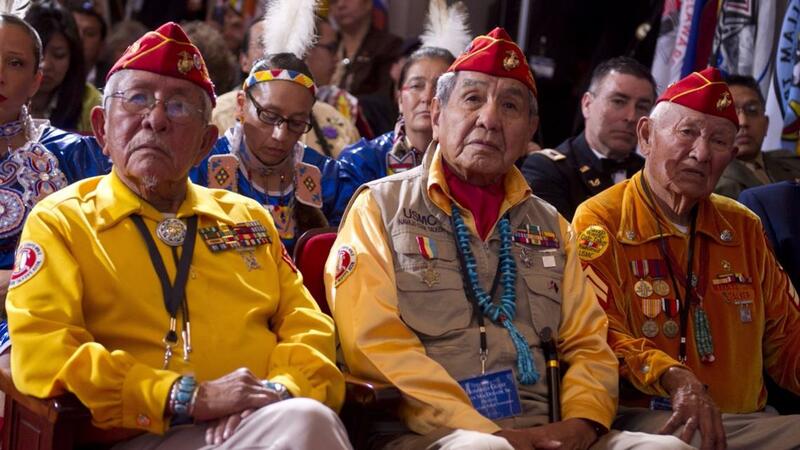 Native American members of the Navajo Code Talkers, Bill Toledo (L), Peter MacDonald (C) and George James, Sr. (R), listen as US President Barack Obama speaks in 2012. 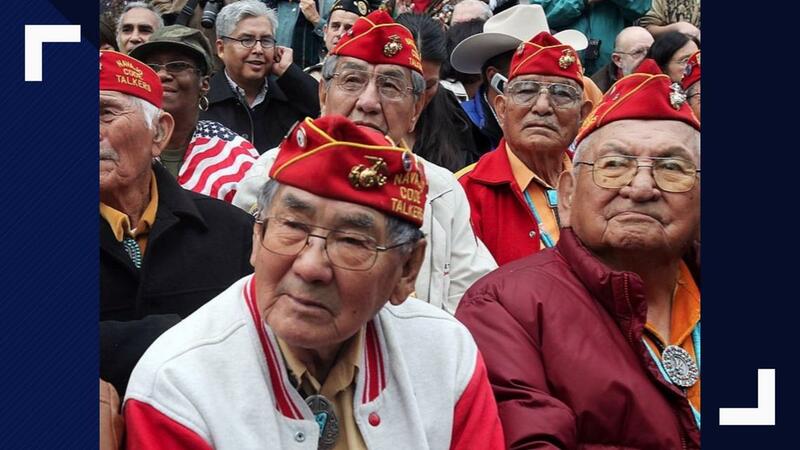 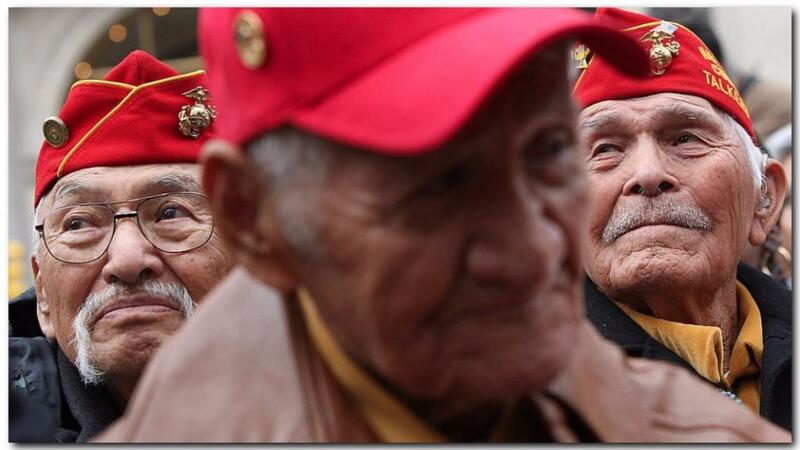 Members of the elite Navajo Code Talkers, the famed U.S. Marine unit who delivered unbreakable codes during World War II battles against the Japanese, look on before the start of the annual Veterans Day parade November 11, 2009. 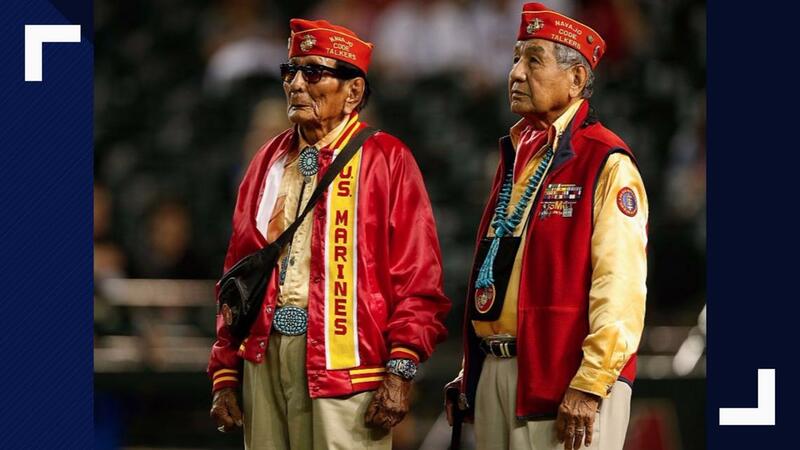 World War II, Navajo code talkers for the Marine Corps are honored before the MLB game between the Arizona Diamondbacks and the Los Angeles Dodgers at Chase Field on September 11, 2015. 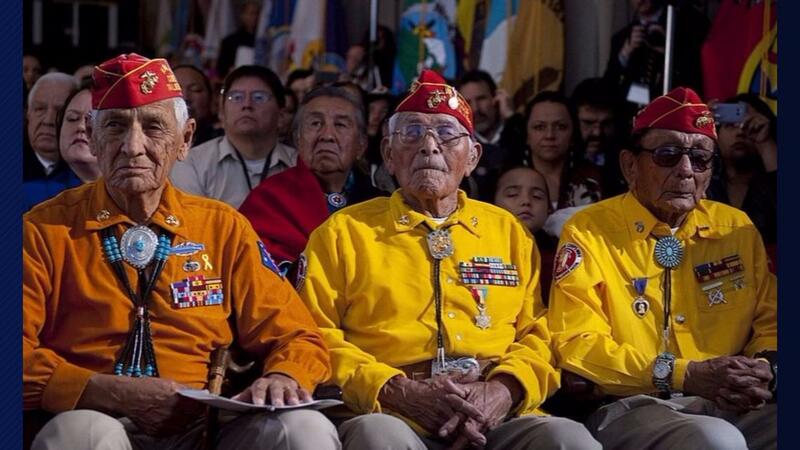 Native American members of the Navajo Code Talkers listen as US President Barack Obama speaks during the White House Tribal Nations Conference at the Department of the Interior. 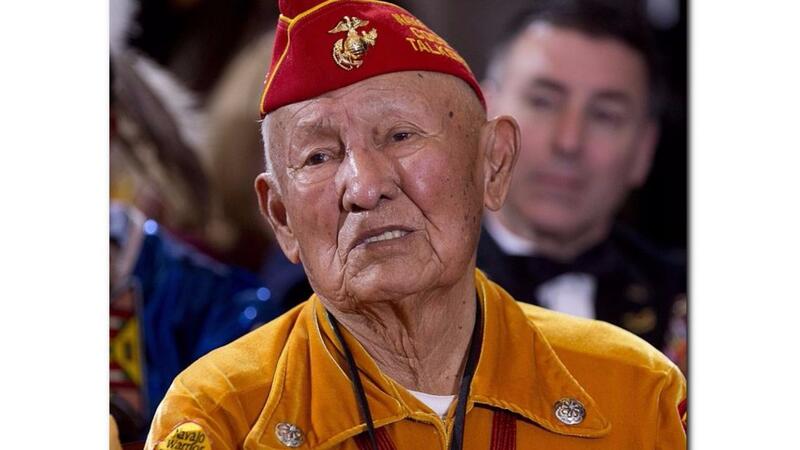 Navajo Code Talker Bill Toledo listens as US President Barack Obama speaks to the 2012 Tribal Nations Conference at the Department of Interior. 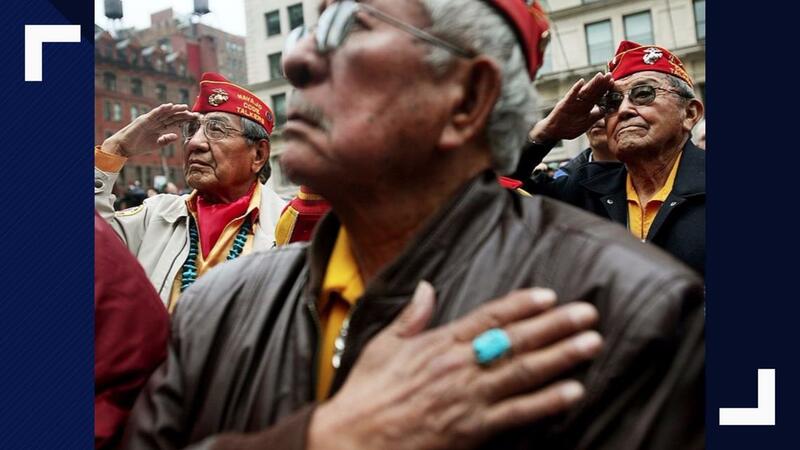 Members of the elite Navajo Code Talkers, the famed U.S. Marine unit who delivered unbreakable codes during World War II battles against the Japanese, salute before the start of the annual Veterans Day parade November 11, 2009 in New York City. 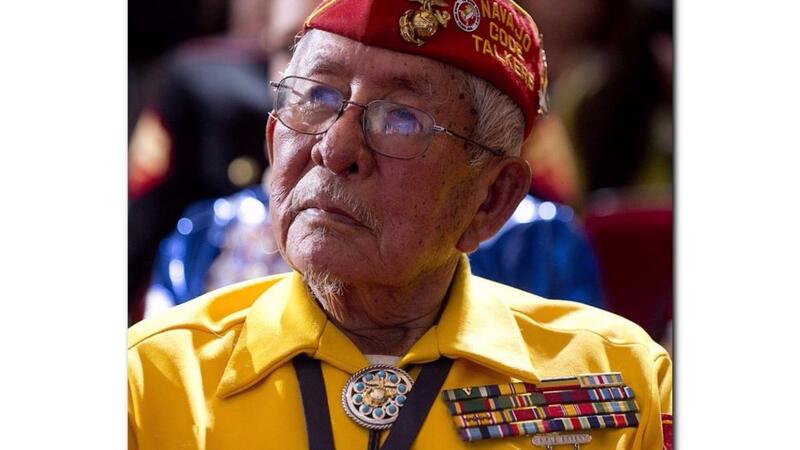 Edmund Harjo (C), 96, a Seminole Indian code talker and a World War II veteran of the 195th Field Artillery Battalion, poses for photographers during the Congressional Gold Medal ceremony. 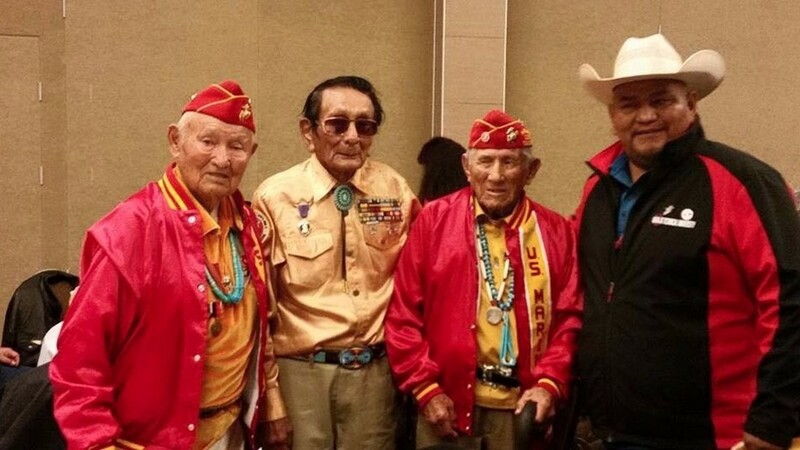 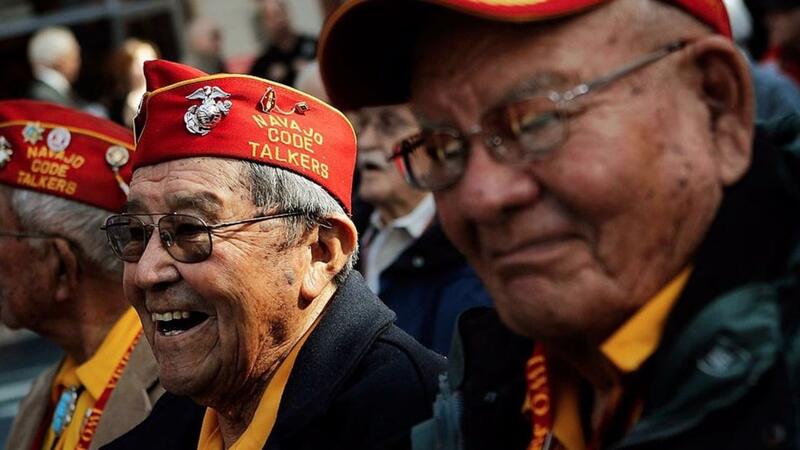 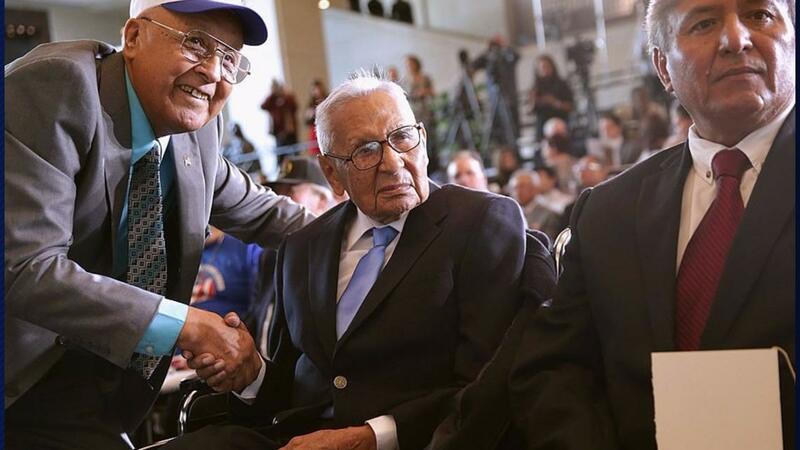 Frank Willetto (2nd R) of Crownpoint, New Mexico, and Keith Little (R) of Navajo, New Mexico, both were members of the Navajo Code Talkers during World War II, attend a ceremony to mark the 65th anniversary of the battle of Iwo Jima.